I went to Turkey to experience a culture that represents centuries of ancient civilizations. While there I was given the opportunity to walk through and energetically connect with the past. Without anticipating it, I linked with the energetic lineage that is the root for who I am. 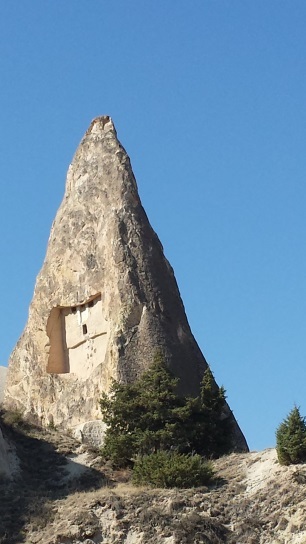 Turkey, as a physical place, unlocked this cellular memory within me. There is much to unfold from this connection. I know I won’t discover the full depth of what I received until I’ve been back in my own culture for a while. The journey was foreign and transformative. In the parlance of The Hero’s Journey, this part of the journey is known as the “Return.” It’s the time when the new awareness that has been gained needs to be shared as a transformative gift for the community. It is a challenging time, staying true to your inner depth within the tumult of everyday life so that you can bring the gifts into form. Returning home, I realize that my challenge is to give myself and my body the time and space it needs to assimilate the changes. Knowing myself well, I have to move from the temptation to “get going” with my work. My desire is to bring this new learning into an expression and understanding that can be decoded, integrated and shared. Rather than act on this pattern, my inner direction has been to “Stop, get quiet and listen.” As I act on this advice, I know the understanding of the experience will reveal itself and knowledge will be gained. What is old is what already exists as patterned ways of seeking the familiar. To receive new possibilities requires stepping outside of routine. Routine often masquerades as balance. Unless patterns are interrupted, my thoughts will look for answers along familiar pathways. A loss of equilibrium is needed for something new to awaken. Travel is one way of breaking routine. While change is unsettling, by staying with my breath, I find a new equilibrium. I allow myself to come to a new place. Until then, I feel the puzzle that is “me” being put back together in a completely new way. I feel like I’ve been in a Time Machine and a Teleporter rolled into one. My particles are being reassembled and someone new will emerge from the experience. Who knows what’s on the other side until the dust settles? Turkey brought me a direct energetic awareness of my connection with all that precedes me. I feel how history has framed who I am today. I stood on the ground of the creation of humankind’s religious roots and have begun to integrate the feeling of truth behind the building of new civilizations. A door has opened within me to that which is not yet defined, but will be revealed. When you connect with another “home” that is not your birth city, it becomes part of who you are and needs to be integrated. The power does not lie in the details of the history or culture or of something that “happened” in that place. It is about claiming the energetic heritage that is available. This opens the door of new potential to be actualized in the present. What is old roots you into your lineage. What is old becomes new. Then you begin to feel at home. I invite you to share something from this process. Sharing can be an important way to anchor an insight in your body. It can lead you to deeper insight. It can stimulate action. READ PART 1: How can new experiences awaken ancient connections? How can ancient history be made new? Feeling at home, Annet, allows you to connect with the energetic signature of each place that you visit. Perhaps you feel an affinity with some places more than others. Thanks Andrea! Intellectual processing only takes us as far as the intellect already knows. Giving space for inner knowing to unfold takes us into new territory. Debra–I just finished writing a post about Celebration for this week’s Friday Focus. We’re in sync! I’ve felt a connectedness to places as you’ve described, but have never considered it in this way. Now, I’m noodling over it, remembering feelings/experiences from 25 years ago… Thanks for provoking the memories and what it means at a deeper level. I’d love to hear whatever comes from your noodling, Sheila! So glad this is taking you to a deeper level with those experiences. Thanks for the brilliant insights you shared related to your journey to Turkey. What an amazing country it is! I totally related to your energetic connection with a place and a past. I felt similar when I arrived in Colombia, South America for the first time. I felt like I’d come home and still feel very comfortable in Latin cultures. Appreciate the strategies you’ve suggested for integrating “old” parts of ourselves. Laurie, this is so beautifully written and described. I love how you are allowing yourself time to integrate the experience. I went to Peru at aged 15 and sitting at Macchu Picchu had a similar experience that took me years to assimilate and understand. It’s amazing how certain places can trigger so much growth and a whole new level of awareness of who we are. Your post is timely for me as I am planning on going on vacation. I’m looking forward to exploring the possibilities of lessons to be learned during the adventure. I appreciate you sharing your inspirations through travel. Keep sharing! I feel this sense of interconnectedness nearly every time I travel abroad…especially in Europe. Even stronger when I’ve been to England and Ireland. My history is rooted there…and in Scotland. My husband and I were in Ireland a few months ago – our oldest daughter lives there and my husband’s roots are 100% Irish. 2 years ago we connected with his second cousin, Helen, from Fermoy, county Cork. During our visit to Ireland, we spent two days with Helen and her family on their farm. Richard met his other cousins and their 91 year old mother, Mary, who was Richard’s great grandfather’s niece. It was upon meeting her that Richard had one of those rare existential moments. “This is my family” he said with tears in his eyes. I am so glad he got to meet Mary and that Mary got to meet the first member of the American Linahan line to come back home. A few weeks later, Mary passed away, peacefully, in her sleep.